​April 8: Tom McClintock Town Hall in Loomis, CA. If you can't make the trip, watch the live stream on ICA04's Facebook page. April 20: McClintock Staff Satellite Office Hours in Mariposa and Oakhurst. Come discuss your concerns with members of Rep. McClintock's staff. ﻿Upcoming opportunities to make Rep. McClintock hear you. Thank you to everybody who attended Congressman McClintock's town halls last week. Both events drew overflow crowds of constituents from across the political spectrum in our communities. Thanks to all who raised their voice with thoughtfully prepared questions and statements for our Congressman. Our concerns about the direction he leads our country in through his regressive policies were articulated clearly and passionately. Special thanks to the 6 peacekeeper volunteers who spent the evening deescalating potential conflicts. While some elected officials choose to agitate constituents to deepen our political divide, our communities demonstrated that we know how to manage our political differences peacefully, despite their polarizing leadership. Videos of the Mariposa and Sonora (session 1 & session 2) town halls are available now on YouTube. If you are watching on a computer, you can find links to each specific question by clicking "show more" under "Timestamps for Questions & Key Moments." If you don't have 5 hours to watch every interaction, you can use this tool to focus in on topics that concern you most. Watch, listen, and give his office a call to provide feedback on his positions (916-876-5560). The national spotlight will be on us...let's show our best sides. Congressman McClintock has been making many headlines lately, and it’s no surprise that hundreds of constituents from across the political spectrum are planning to attend his town hall meetings next week. We know how to navigate these political divides in our communities peacefully - it’s a part of our day-to-day life. Instead of working on behalf of all his constituents, our Congressman has chosen to use distortions of who we are and what we care about for political gain. Despite his attempts to pit us against our neighbors, we must vigilantly avoid taking the bait. We must not allow Congressman McClintock’s outside agitation to tear our tight-knit communities apart. Arrive early if you want to get inside. There are rumors circulating suggesting a high turnout is likely - be prepared to wait in line. The current forecast is calling for light rain - bring your umbrellas and rain gear. Get comfy with a camp chair, some snacks, hot drinks (no alcohol) and your smiles. McClintock’s staff choose who asks questions, and might be paying attention to people waiting in line. If you hope to ask a question, avoid open expressions of your politics. Be prepared to talk to the press. Only a few of us will get a chance on the microphone, but many of us have good stories to tell. Prepare a very short statement or question - long statements could be clipped in ways that lose important context. Refer to the guidelines for developing good questions, the same suggestions apply when you speak to the press. Enjoy yourself. Spread love, laughs, and joy. Be kind. Avoid political debates. We are here to express our concerns to our Congressman, not to argue with our neighbors. Make conversation and find common ground - sports, fishing, kids, pets, floods, mudslides - just avoid politics, which is easy to quickly get out of hand. If it goes negative, disengage and ignore. Seek out help from Law Enforcement if there is a concern for anybody's safety. Law Enforcement: we are very grateful for their presence. Be cooperative, friendly, and thank them for being there. If you do not get inside, participate in a peaceful demonstration outside for the duration of the town hall (about an hour). Your signs, smiling faces, and willingness to demonstrate in inclement weather will deliver a strong message to McClintock and the press about how serious your concerns are. Avoid sitting in large groups of like-minded people. Spread out throughout the venue. Find a seat towards the front or near an aisle, providing easy access for his staff to bring you the mic. Keep your hand raised, look friendly, keep any signs out of sight. Be prepared: Have a few possible questions ready to ask. It’s ok to read from a script. Be sure to review these suggestions for making the most of your time on the microphone. Please DO NOT boo or shout during the town hall. Briefly applaud statements you agree with to show your support. Refresh yourself on the lyrics to “God Bless America.” We will stand and sing together as a community when McClintock wraps up the event. Clean up. Let’s leave these places cleaner than when we first arrived. Post your photos and videos on YouTube, Facebook and Twitter. Use #McClintockTownHall to make your post easy to find. Share your videos with us so we can amplify them across the country! Send links or files to indivisibleca04@gmail.com. It’s time develop effective questions for Congressman McClintock’s town halls next week in Mariposa and Sonora. Here are some guidelines and resources to get your process rolling. Keep your eye on the prize. Your job isn’t to convince your Member of Congress (MoC)—it’s to make him or her give you an answer or make clear to all watching that they refuse. Make a concrete, verifiable ask. The best asks or clear, actionable for the MoC, and easy to verify whether they followed through or not. If you ask any MoC “Will you fight for me?” Every single one of them will say “Yes!” and then go about their day. If you ask them: “Will you commit to voting against X upcoming bill,” they may answer directly or they may prevaricate, but regardless they will adjust their decision-making calculus. There are so many potential topics on your mind, how do you choose the one to focus on? The topic you pick is very much a personal choice. If you are interested in supporting Yosemite Indivisible’s desired outcomes for the Town Hall, take into consideration the following suggestions. Be timely. McClintock said many interesting things about management of Yosemite during the Merced River Plan process a few years ago. While locally relevant, this topic does not have any actionable items for him in the coming weeks. Be relevant. McClintock would love for us to ask him questions on topics that he can’t be held accountable for. For example, Trump’s cabinet confirmations and Supreme Court confirmation are only voted on in the Senate; his views on them are not relevant. We are constituents, not anarchists. McClintock’s recent mischaracterizations of his constituents on the left are irresponsible and not based in reality. Protect our health care. We are concerned that Republican efforts to repeal and replace the ACA will have serious impacts on access to affordable health care in our district. Stand up to Trump. McClintock has shown unwavering loyalty to Trump and his numerous untrue claims. We expect McClintock to put country over party and start carrying out his duties to provide Congressional oversight of the Executive branch. Specifically, we ask him to support the effort in Congress to demand release of Trump’s tax returns. Establish yourself as a constituent. Begin with your name, and where you live. Consider mentioning that you are offended by how he has been labeling his constituents in the press. Use his own words, don’t paraphrase something you read on Facebook. Make it personal. Briefly describe elements of your bio that show your authority to speak on or personal connection to your topic (I’m a doctor, I am a veteran, I have a pre-existing condition, etc). Revisit a recent answer. Offer a short (1-2 sentence) rebuttal to something he said earlier in the town hall that you don’t agree with. This might be simply pointing out a question that he did not actually answer. Keep it short. Expect him to be fully versed on the issues without your detailed explanation. A long preamble gives him more opportunity to redirect focus away from your question. Avoid the rabbit hole. If he disputes the source of your number of how many people will lose coverage when medicaid expansion is repealed, he is trying to dodge the question. Instead of chasing him down the rabbit hole, drag him back out: "You may have a better estimate of how many thousands of people in our district will lose care if you repeal medicaid expansion. I'm asking you to address the problem you create by taking away their health care." Do your homework. Make sure your views are based in verifiable facts from reputable sources, and have those facts and sources ready if he disputes them. Be specific. If your question is too general, he will be able to respond with his talking points. Detailed questions require detailed answers. Make a concrete, verifiable ask. Ask the to commit to a clear action, which is easy to verify if they follow through on. Indivisible Guide's "ACA Action Plan"
The first step in organizing our collective progressive voice at the upcoming Town Halls is to consider how our objectives and desired outcomes compare to Congressman McClintock's. We can also use his statements during and after the Roseville town hall to understand how he might try to spin our actions and words. The Indivisible Guide's Town Hall Tips & Fact Sheet is the primary source for the table below. If you are not familiar with the Indivisible Guide, reading or listening to it will help you see how this action fits into the bigger picture of resisting Trump’s agenda by pressuring our Members of Congress. I’ve supplemented Indivisible with ideas based on my observations from participating in the peaceful demonstration outside the Roseville Town Hall, watching the video from inside, and examining the press coverage of the event. The chart below illuminates the balancing act we face. If we don’t push towards our outcomes hard enough, we help him accomplish his. If we push too hard, it could feed his narrative of us more than it supports our agenda. We seek the Goldilocks plan. Press reports how much we like him: "McClintock hosted a town hall & discussed his work to improve Health Care." ​Press reports that reflect our concerns: "McClintock faces constituents' tough questions on his support for ACA repeal & Trump's agenda." ​The last 4 elections demonstrate a mandate for repeal of the ACA. End of story. ​To avoid public dissent or disapproval. Progressives to stay home & conservatives to show up. ​A full auditorium & peaceful demonstration highlighting our concerns about his values, votes & positions. ​Cooperation with & expressed appreciation for local law enforcement. ​The room was full of Berkeley liberals, not constituents. Anarchists were rioting in the streets outside, physically intimidating the patriotic people. Law enforcement was forced to intervene. To use his access to the press to demonstrate how hard he works for his constituents. ​For us to be reactive with press instead of proactive, allowing him to spin his story. ​To talk to the press about our concerns & difficult questions for Tom. ​To take lots of video & photos to counter Tom's spin. The left is in denial of the election results; our concern about Trump is equivalent to his concern about Obama. We should grow up & get over it. The most vocal people were unpatriotic radicals promoting California's secession. His supporters to outnumber us & demonstrate a clear mandate for his agenda. To practice non-complementary acts (smiles) with people attempting to agitate us. Avoid taking the bait, conflict with fellow constituents is not our goal. We came to provoke ugly confrontations with our conservative neighbors. Photos to show he shares our values - a room that looks crowded with happy supporters. To use small signs ("Nope" "That's a Lie" or "Answer the Question") to provide non-verbal feedback & compelling photos. The coordinated use of signs proves we are victims of organized outside agitators. To avoid difficult questions about his disparagement of constituents, repeal of the ACA, & his support for Trump's agenda. To get a chance to ask a difficult question by looking friendly, keeping your signs out of sight, & keeping your hand raised. Take one thing out of context to suggest the left is unpatriotic & hates the constitution. Standing ovations for everything he says. To applaud our fellow constituents when we agree with them. We shouted down our conservative neighbors instead of respecting their free speech rights. To have the last word on every subject. To deliver short, appropriately-timed, rebuttals of encouragement to give us a reason to cheer instead of boo. We shouted him down, didn't let him finish his answers, & refused to engage in an adult discussion. ​To shake hands & kiss babies after the town hall concludes. ​​To demonstrate our patriotism by standing to sing "God Bless America" as soon as McClintock wraps up the townhall. ​He was forced to flee under police protection because the situation deteriorated & his safety was at risk. 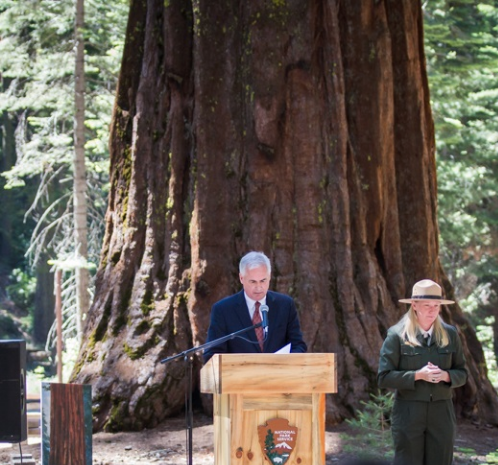 Our Congressman Tom McClintock has officially scheduled two town hall events next week in the Yosemite area. Please mark your calendars and spread to word to area progressives about this incredible opportunity to impact the national political discussion right here in our communities. Town halls are public listening sessions held by Members of Congress to hear what is on the minds of constituents in their districts. Congressman McClintock's last town hall event made national headlines when people in our district turned out in huge numbers to ask tough questions on repeal of the Affordable Care Act and his support of Trump's agenda. McClintock was clearly rattled by the strong message, and has been spreading falsehoods about his constituents. We now have the chance to push back against his claims, and demonstrate our commitment to holding him accountable as our representative. This is a pivotal moment in our nation, and the spotlight will shine on our communities next week. There is much to do to get prepared, so lets get started. The single most important thing you can do now is make plans to attend one or both of these town halls. Tell all your progressive friends and neighbors. Subscribe to this blog to receive email updates. A steering committee of Indivisible groups in our district is developing guidelines for participants and suggested questions. Stay in the loop. 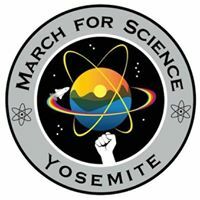 Stay informed about the latest Indivisible actions in the Yosemite region.